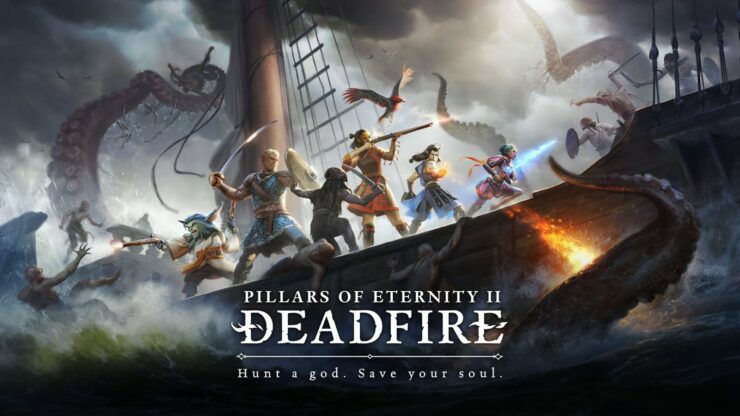 Obsidian Entertainment and publisher Versus Evil have announced post-launch DLC plans for Pillars of Eternity II Deadfire, the upcoming sequel to the cRPG released in 2015. There’ll be three of these, all of them included as part of the Pillars of Eternity II Deadfire Obsidian Edition (priced at €70 on Steam, though there’s currently a sale available on Fanatical). FIG backers who pledged at the Collector’s Edition tier or above will also get the Season Pass, which will otherwise be sold separately for €24.99 while the individual DLCs will be sold for €9.99. Pillars of Eternity II Deadfire launches for PC (Windows, Mac and Linux) on May 8th while console gamers will get the title in late 2018 on all major platforms (PlayStation 4, Xbox One and Nintendo Switch). 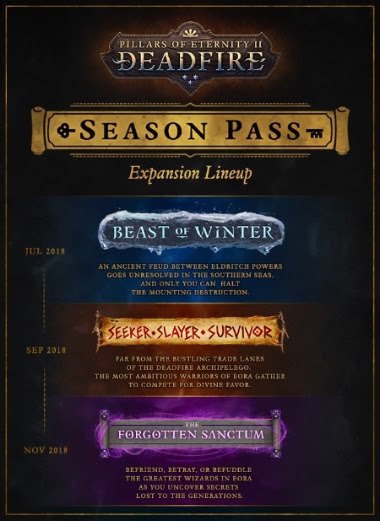 The first downloadable content pack (DLC), ‘Beast Of Winter‘ will be available in July 2018, and will take your party to an island populated by a mysterious doomsday cult, that hides an ancient secret. Players will get to experience adventuring in ‘The Beyond,’ a mysterious dimension populated by ancient souls and filled with devilish challenges.